"My baby cries day and night uncontrollably in pain. As the days pass by, it is only getting worse. Sometimes, he cries so much that he exhausts all his energy and ends up whimpering in pain. At times, he doesn't even allow me to touch him. It is very distressing to helplessly watch him suffer through the agonizing pain." - Divya, baby Lakshith's mother. 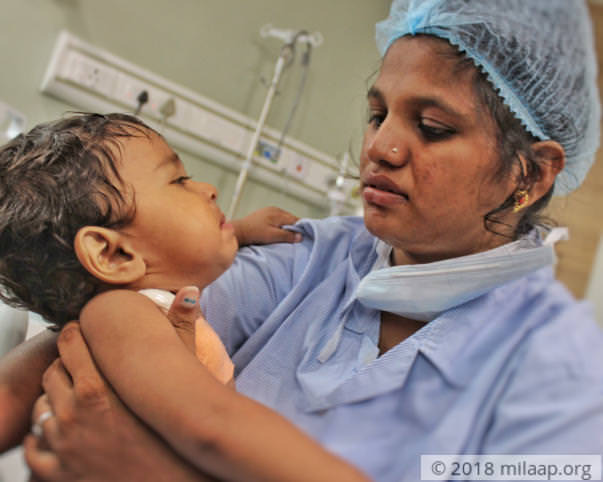 Divya and Siddaraju's baby suffered a severe immune deficiency disorder and after much difficulty, underwent a bone marrow transplant this February. After months of living in fear of losing their baby, they finally breathed a sigh of relief after the transplant. Divya and Siddaraju named their baby Lakshith and were delighted that their baby can now finally lead a normal life. But during a regular check-up, their dreams were crushed when they found out that their's baby's body had rejected the new bone marrow. "We were excited about our son's future and my husband had even decided to start work again. We had spent everything we had on our son's first surgery, and we were ready for a new beginning. But now, even the little hope we had is gone. When they told us that his condition was critical again we were shocked. We thought that the worst was behind us." - Divya. The 1-year-old is diagnosed with graft failure, a condition in which the body rejects the transplant. He is also extremely prone to infections, and even a small cold can be fatal. 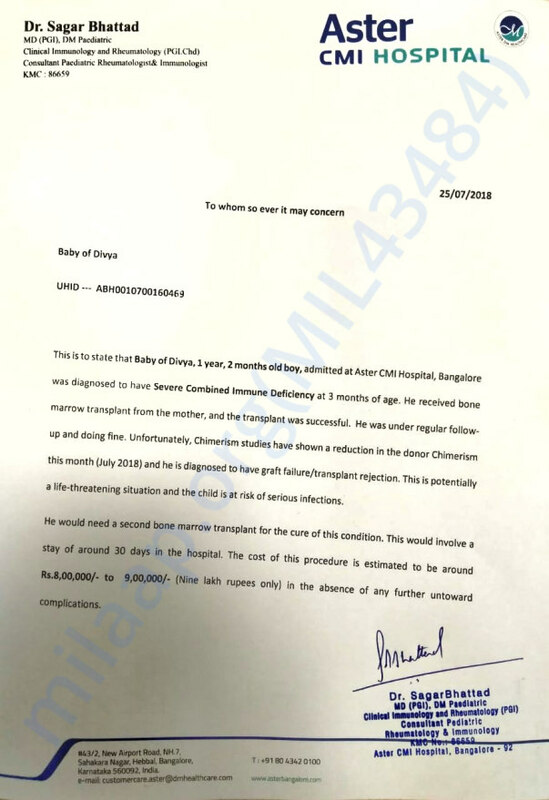 Divya's baby needs a bone marrow transplant urgently. Only two days are left for the surgery that can save this baby's life, but his parents have nothing left to save him. "It hurts to watch my baby go through all this again. His tiny body has to endure so much pain. He has numerous tubes running through his body, and whenever they inject medicines into it, he cries inconsolably in pain. I cannot even take him in my arms to console him at that moment and all I can do is just weep and watch him suffer. 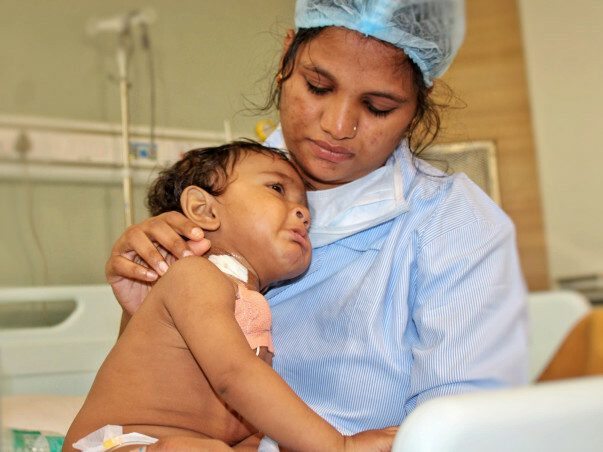 It is painful to see how much this small body will have to endure," - Divya. Siddaraju, a farmer, earns Rs. 140 a day with which he keeps his family afloat. However, with his meager income, he cannot afford the surgery that can save his only son from death. "We had sold our only piece of land for his previous surgery and now we are left with nothing. My husband ran to every person he could think of to get help for our son. With the money he collected, we could only admit him in the ICU. We have spent 1 lakh until now and cannot afford this urgent surgery which costs 9 lakhs. All we can do is only pray for help to save our son," - Divya. Divya's 1-year-old has only two days left to get a life-saving bone marrow transplant. Without this, they will lose their precious baby forever. 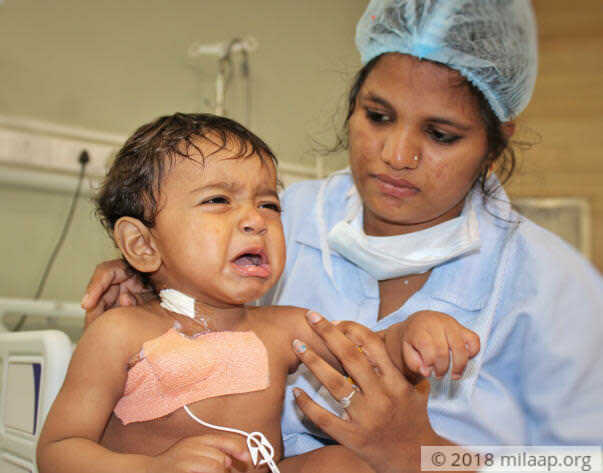 Divya and Siddaraju are heartbroken and are desperately trying to afford the transplant that will save their son's life. With little left to call their own, these helpless parents need your help to save their only child from the clutches of death. I am overwhelmed to see the support and love showered on my son. I would like to inform you that he is back home and doing well. Twice a week we take him for checkups, for which the reports have been positive till date. I have been going through some back pain issues after the organ transplant. We are hopeful of a complete recovery at the earliest. We couldn't have gone through this difficult face of life without your support. Thank you all for being there for our family constantly. 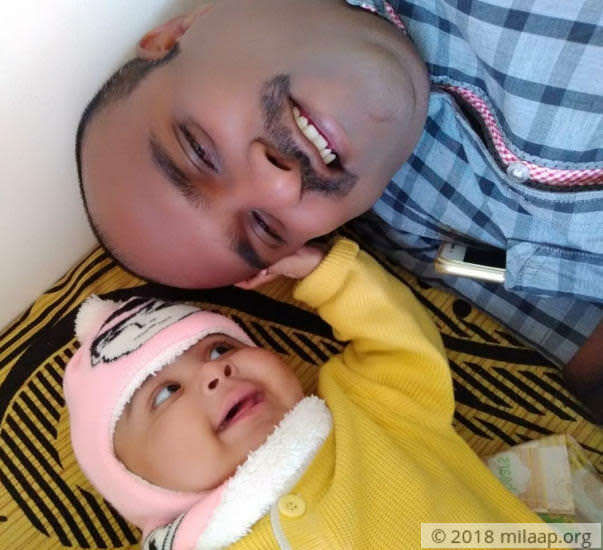 Baby of Divya is improving.Thank you for all your support. Thank you so much for all the support you have shown so far. 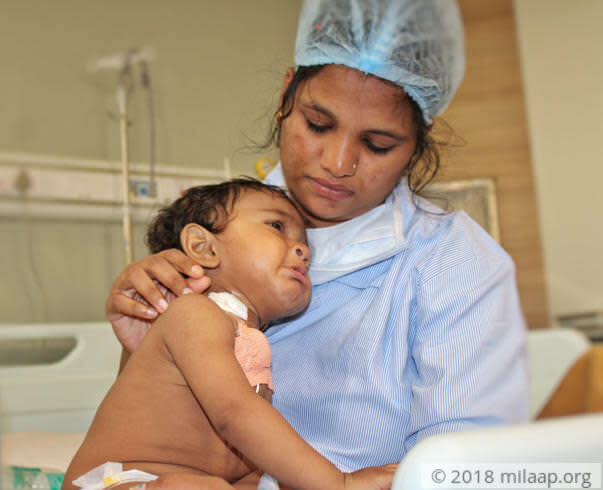 Baby underwent the transplant with his mother as the donor. He is being monitored around the clock and is expected to stay under hospital care for another 2 weeks. We thank you once again your support.